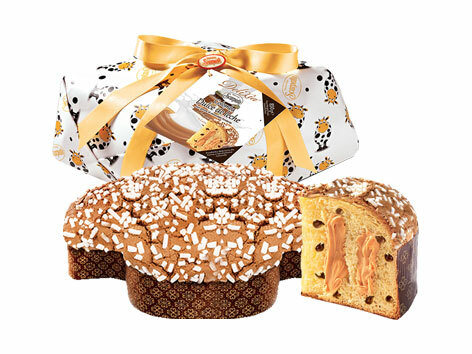 Another classic of the Italian tradition: La colomba. This version A NATURAL LEAVENING, it is a sublime specialty, the merit is the balance of its components. Dulce de leche Delixia, drops of dark chocolate, amaretto icing and granulated sugar.